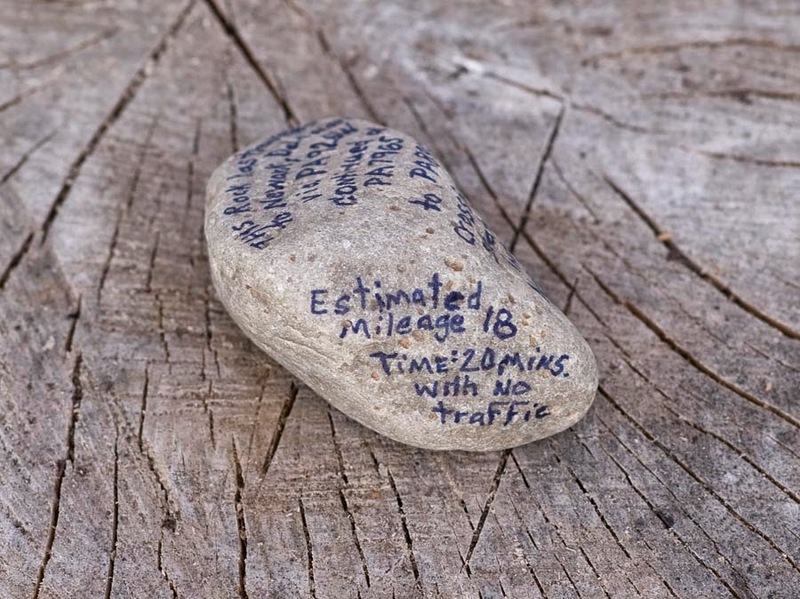 Last month, I received my river rock from the Street Road Artists Space in Cochranville, Pennsylvania USA. Street Road Artists Space is an experimental art space housed in a 1930’s cottage style of architecture. The building and the surrounding grounds is the site for the outdoor longitudinal line installation, Homma Meridian, by artist Kaori Homma. The Street Road Rock Project is an ongoing participatory project that is being displayed inside the building as well as the outside garden site. The open-ended approach with this project offers endless opportunities for participants to use their individual perception of how they can modify their rock. My travels and experience from visiting Street Road in April are what I considered when altering my rock. My thoughts were on the conversation pertaining to my visit, while traveling the back roads of Pennsylvania to Delaware with my rock in tow. 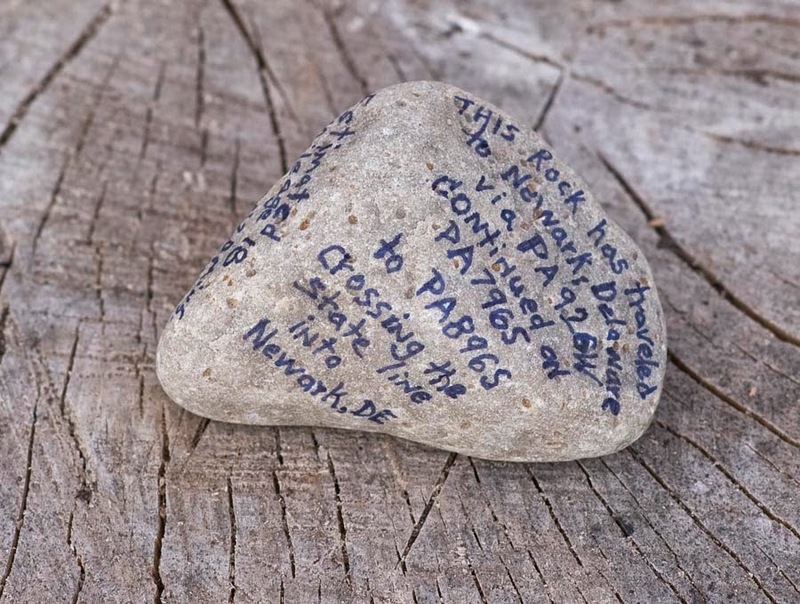 My choice to depict the travels of my rock was done through penning a slimmed down version of my Google Map directions directly to the rock. The language of the directions was written to consider the four main route numbers, along with how they would be verbally presented in giving someone directions. During my visit at Street Road, I was also introduced to the next upcoming exhibition, Arterial Motives. I know my anticipation of the May 31st opening for this exhibit has influence my thought process on how to modify my river rock. The dialog during my visit involving my own transportation and noticeable changes along the Pennsylvania back roads is what prompted Emily Artinian, Street Road artist, to mention Arterial Motives. Arterial Motives presents a global perspective of artist’s responses to automotive traffic. The range of artwork is from four continents to the dialog of a local traffic intersection. UnTOLLed stories, a toll booth installation, is the response and intended exchange of dialog between citizens and governmental actions to the current shift in traffic patterns of Route 41 in Cochranville, PA.